The Irish Sound, Science and Technology Association (ISSTA) announces a Call for Musical Works for its first annual Convocation. This category is reserved for compositions or performances intended for a concert hall paradigm. The musical work must include science or technology in some way. The composer and/or performers must be Irish or based in Ireland. Examples of acceptable submissions include but are not limited to: Circuit Bending, Computer Music, DJ/Scratch Music, Electroacoustic Composition  fixed-medium or real-time, Laptop Performance, Mixed Composition for electronics and performers, Noise Music. The selected works will be performed in a series of concerts during the Convocation. If a work requires performers, the submitters must provide them. The Convocation will also host workshops, paper and poster sessions and curate sound art/installations. Works straddling domains may be submitted to multiple Calls but will be scheduled with the successful submission category. 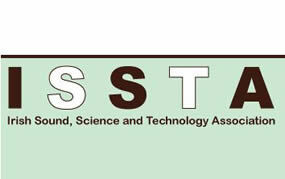 ISSTA is an organization with a mandate to bring together practitioners integrating fields of music, sound, science and/or technology in or from Ireland. It serves musicians, researchers, scientists, engineers and artists by promoting art, music and research in Ireland, especially in international communities. C. Stereo mix of work. Multi-channel works are acceptable, but submission must be a stereo mix. Selection will be made double-blind. Therefore, it is essential that no identifying information be included in the file of the programme notes or recording of the work. The selected works will be installed in locations around the Convocation. If a work requires performers or special technology, the submitters must provide them. Artists are encouraged to submit proposals for site-specific work involving the Computer Science Building at the University of Limerick. The Convocation will also host workshops, paper and poster sessions and musical concerts. Pieces straddling domains may be submitted to multiple Calls but will be scheduled with the successful submission category. A. 1- to 3-page document with a description of the work with no identifying information. Description must include space and technical requirements. C. Video and/or sound recording of work (if available). Selection will be made double-blind. Therefore, it is essential that no identifying information be included in the description of the work or recording of the work if in any way possible. The selected papers will be presented in a series of presentations during the Convocation. Posters will be on display in the Computer Science Atrium. The Convocation will also host workshops, musical concerts and curate sound art/installations. Pieces straddling domains may be submitted to multiple Calls but will be scheduled with the successful submission category. A. 1-page abstract including whether paper or poster submission. Selection will be made double-blind. Therefore, it is essential that no identifying information be included in the paper abstract. All materials must be received by 18 March, 2011. The selected workshops will be offered at various venues in Limerick City on the last day of the Convocation. The Convocation will also host poster & paper sessions, musical concerts and curate sound art/installations. Pieces straddling domains may be submitted to multiple Calls but will be scheduled with the successful submission category. A. 1-page description including space or technical requirements.